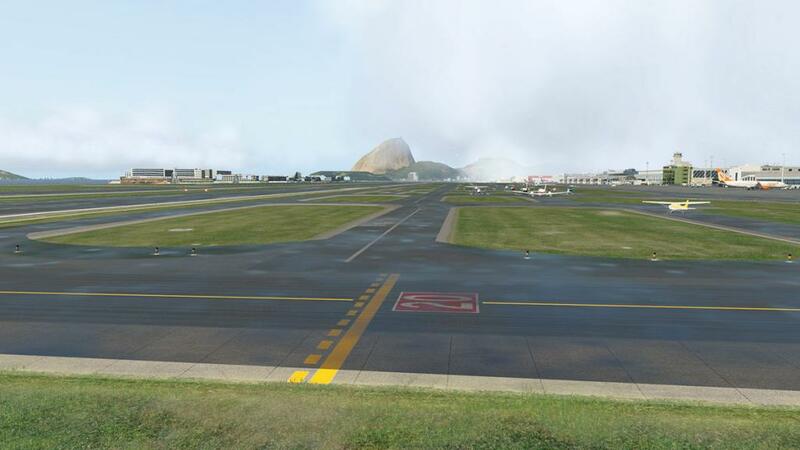 If anybody has built up Rio de Janeiro brick by brick in scenery for X-Plane it is Richard G Nunes, and to say he has put Rio on the (X-Plane) map then all the credit must certainly go his way. 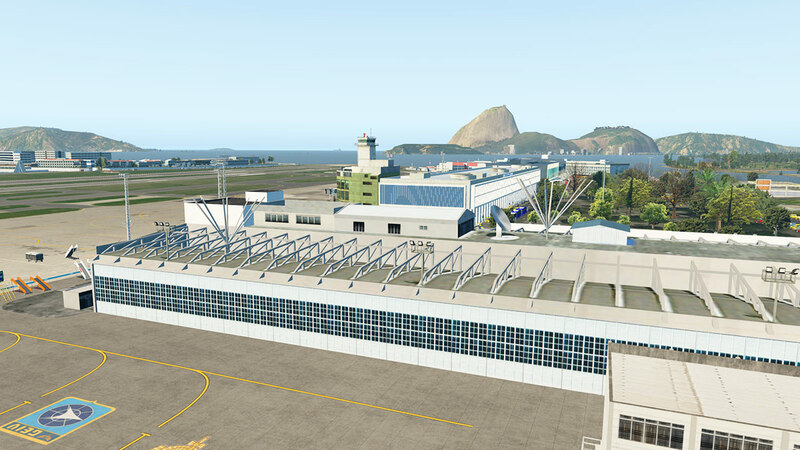 His first project was the main international gateway to Rio with the Galeão–Antonio Carlos Jobim International Airport... Review : SBGL Rio de Janeiro Intl by Richard G Nunes Scenery. 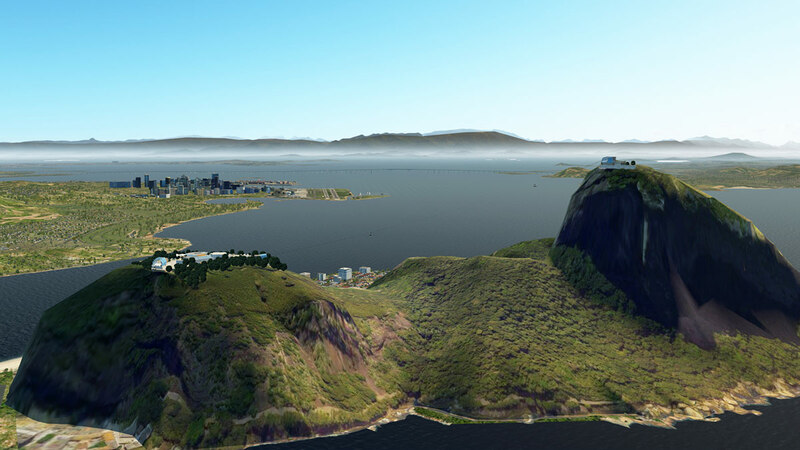 The two extensive scenery packages are to be used basically as one large coverage of the Guanabara Bay area of where both airports are positioned, they also cover between the two packages the iconic Rio standards with the "Christ the Redeemer" Statue in the Galeão scenery and the Sugerloaf mountain (and cable cars) in the Santos Dumont scenery. These very extensive sets of scenery can be also cause a few qibbles. One is framerate in running two extremely large sceneries side by side, but both sceneries and including even more here in this v2 update has had some very heavy refinements, but your systems requirement will still need to be on the more powerful side to get them to work efficiently together. The other point is the order of both of the sceneries folder orders in your X-Plane "Custom Scenery' folder as set out in the .ini list. 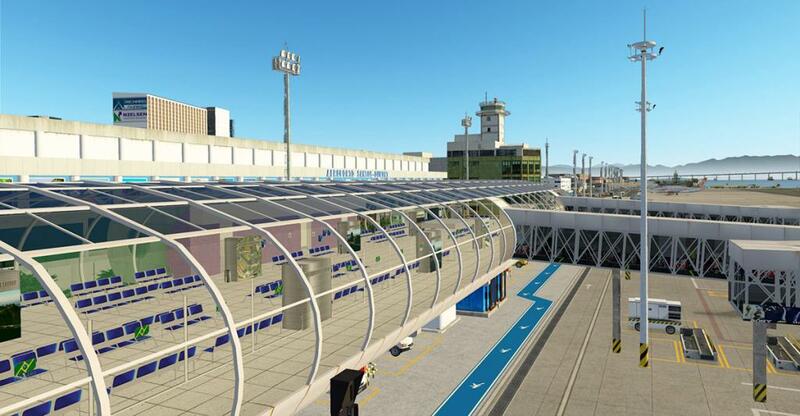 They have to set correctly or one or the other of the packages will over lap or cancel out the other, so SBRJ has to be above SBGL but the corresponding meshes have to be also far below both airport sceneries and again in the correct order. 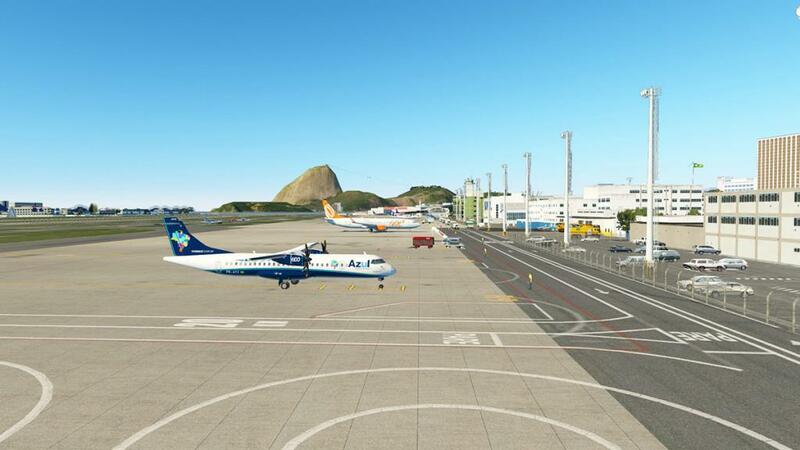 To note if you have both sceneries (SBRJ and SBGL) you can remove the RJ-C-Mesh, as long as you leave in the RJ Mesh as this set one covers both airports... get it all right and Rio looks brilliant. Like with SBGL Rio de Janeiro Intl that had a v2 update in march last year (2017) then here is the update for SBRJ - Santos Dumont to v2. The scenery was extensive to start with, so most of the focus here is again in refinement. 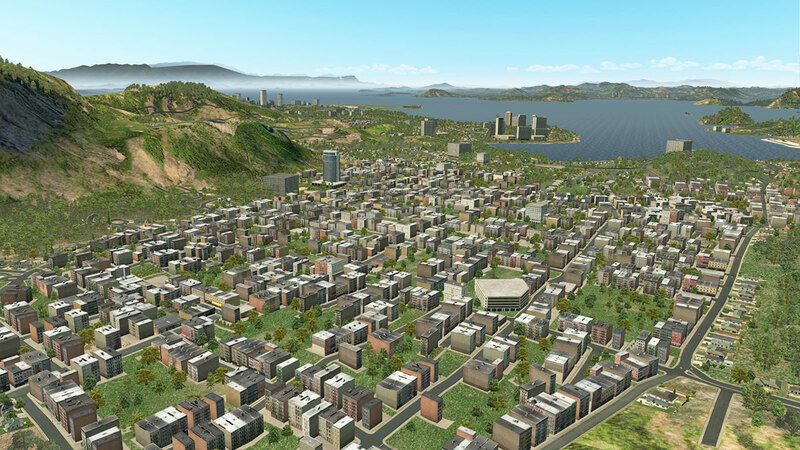 ... but the custom mesh also works as much against than with you in parts of this scenery. 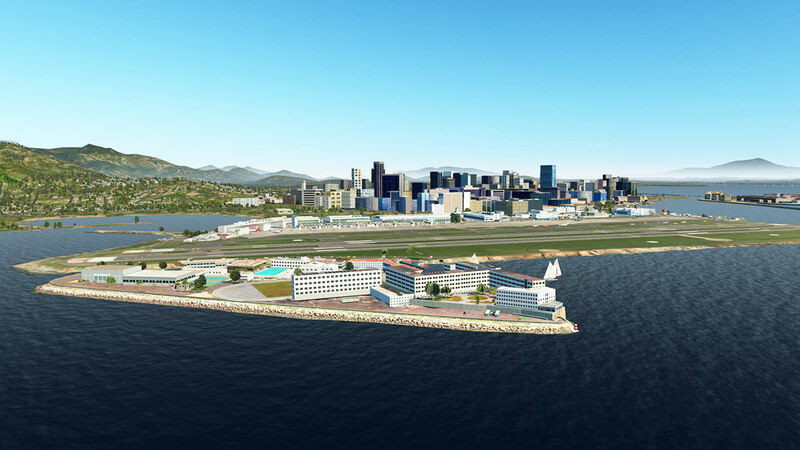 Take the SBRJ scenery out and run X-Plane11 with the latest v4 HD Mesh Scenery and the autogen will come alive, admittedly it is not the best skyline that you would expect of Rio, but it is still better than nothing, and it a shame you can't use the two elements side by side. 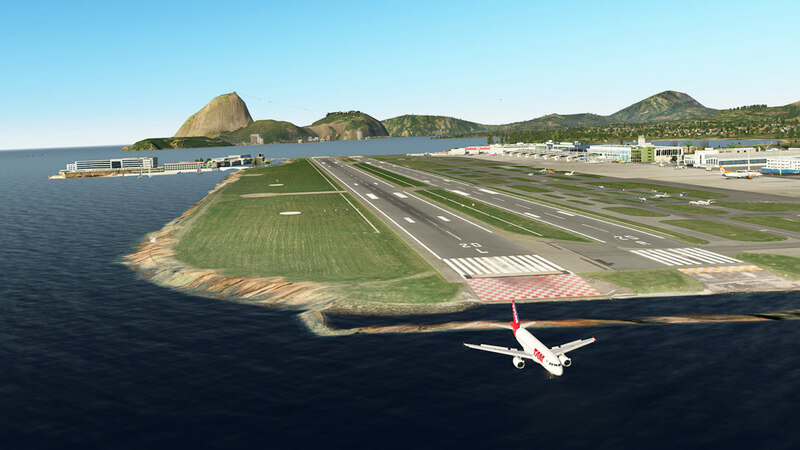 Details however on how to use G2XPL or Ortho4XP tools to create Rio scenery and extras are also available and the details are noted in the manual. That huge extensive amount of original quality detail is still very much apparent in this scenery. Note the excellent reflective glass (above) and the old Pan Am hanger complex. 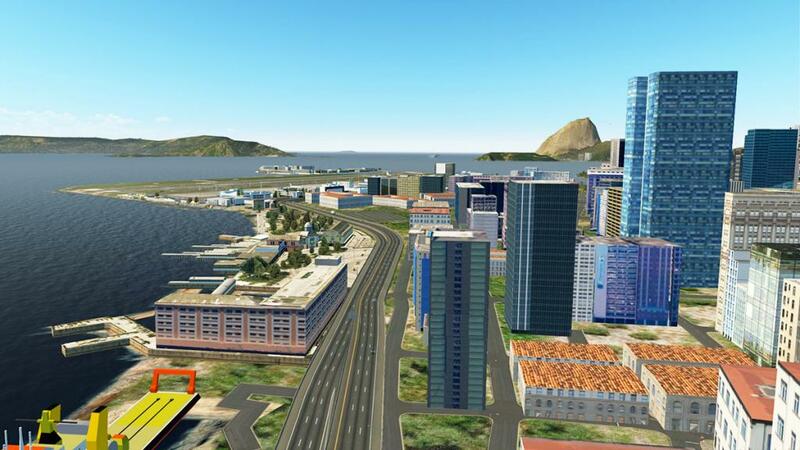 The extensive Rio - Niteroi bridge has animated trafffic, and ships covering Guanabara Bay... they are both also all part of the package. There are now available excellent new (software) tools for refining textures and mesh to still give the same quality and dynamics (HD) but with a far better efficiency (i.e, file sizes) without that lossy or blurry look, the tools are not cheap to purchase, but to any top developer they now becoming essential, and for extremely complex and highly detailed sceneries like this then even more so. This scenery has been processed with these tools, I am not going to say that the scenery is going to very quickly jump your framerate a +20 or +30 frames, but their is certainly a big improvement. 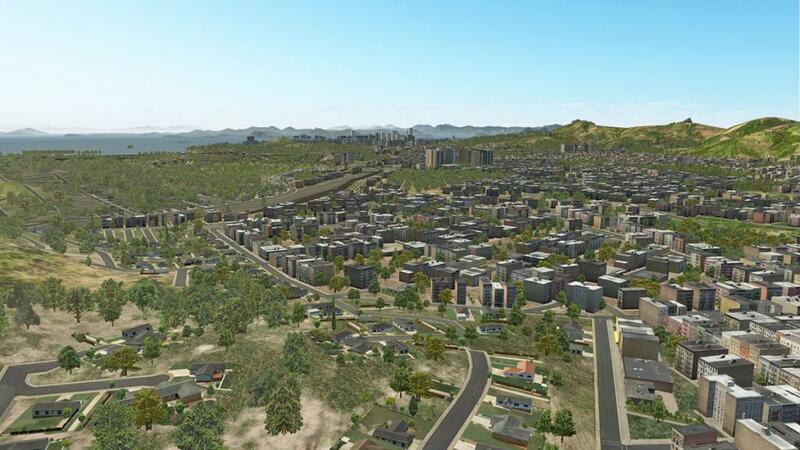 SBGL v2 already had the improvements done and that efficiency showed very well over there, and now adding in this refined SBRJ does help in overall pressure of two sceneries together that has to cover a significant area, but as very good as the refining has been here, it is not going to perform miracles as this is still very complex and detailed scenery. 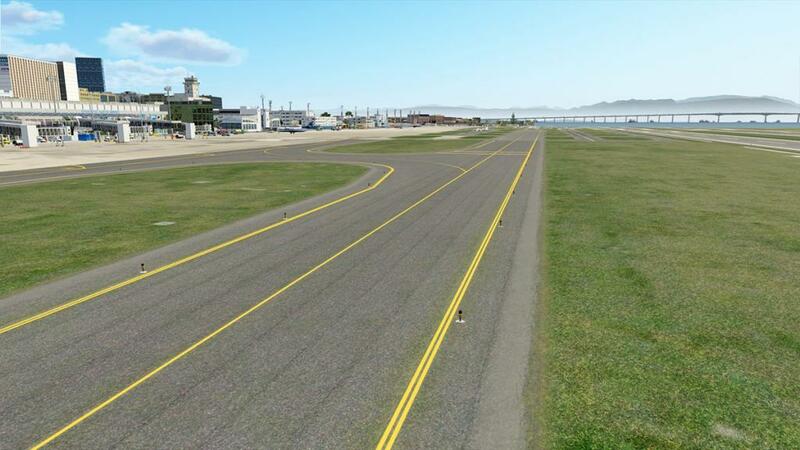 Taxiway K has had some improvements and marking changes, and it is now a far more usable route to and from the two runways. 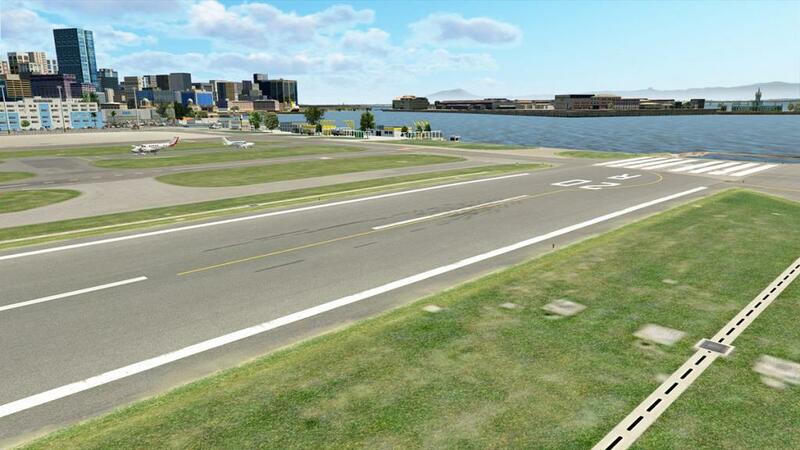 Runways 02L/20R - 02R/20L have been resurfaced, and now have more detail and realism. Rain and water effects are the coming buzz. 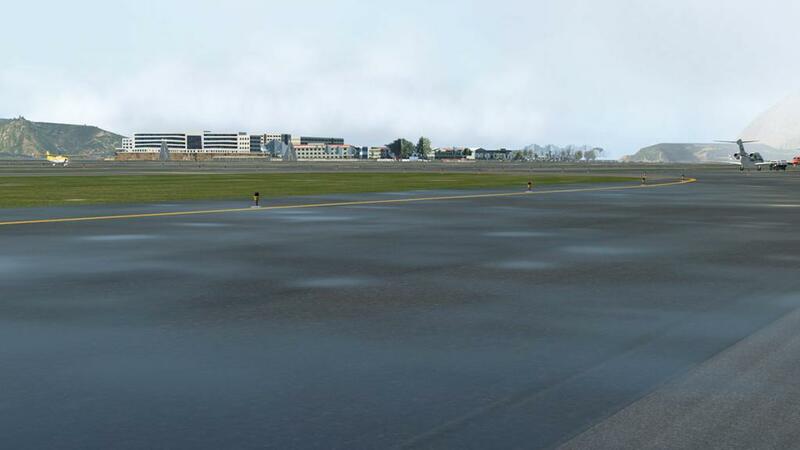 They are still at the point of being a bit of a haphazard set of ideas at the moment and not a global set of effects throughout X-Plane, but the effects are very exciting when done like this... puddles of water and wet runways galore. 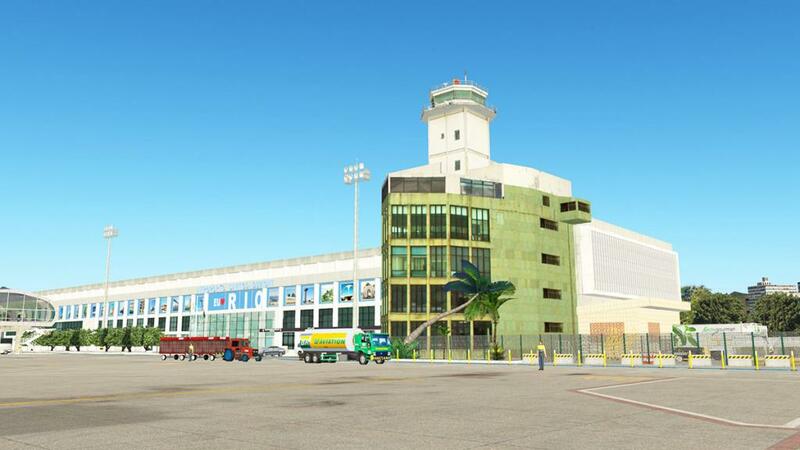 For someone who lives in the tropics this is realism 101, and note the excellent light reflections... exciting. 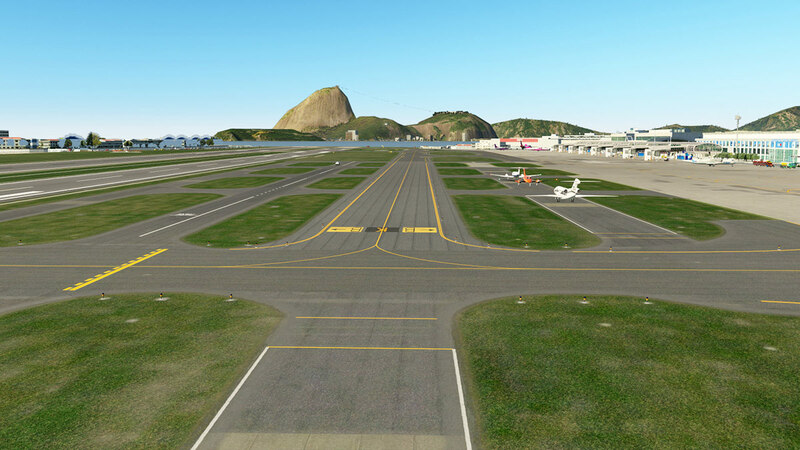 The scenery has also had the built in ATC ground routes defined and noted as WT3 (WorldTraffic3) ready. 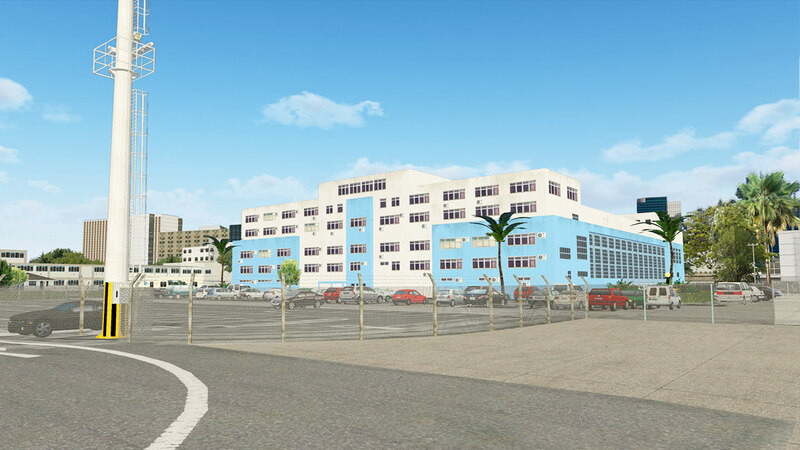 I did a generation of the scenery for WT3 and the results were mixed? There was some nice placement of category 4 - 5 medium Jet/Prop aircraft and GA aircraft centre field, but the main airbridge gates always remained empty? 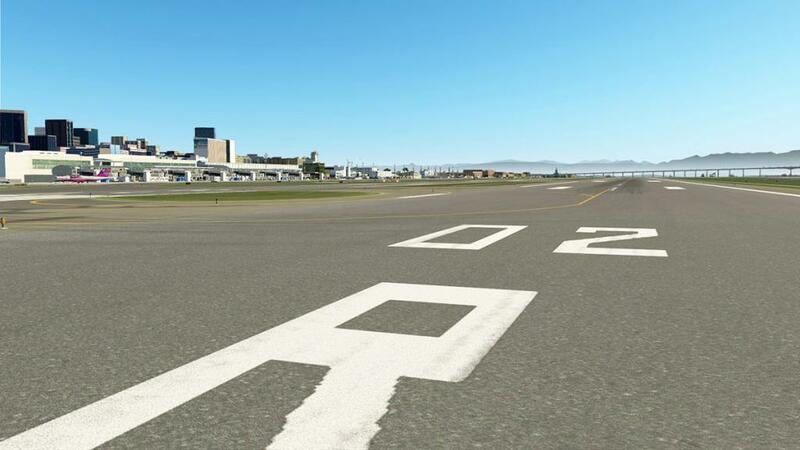 In landing none of the aircraft arriving taxied to the stands or departed with ground routes, in fact most aircraft that landed just simply dunked themselves over the end of the runway... ? 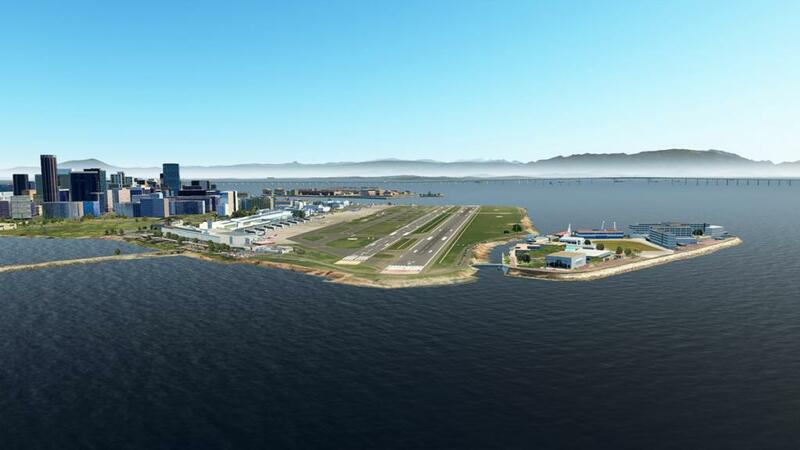 And all arrivals would only use the 02R - 02L runways (even if you changed the wind direction) and 20L - 20R would be far better for arrivals. 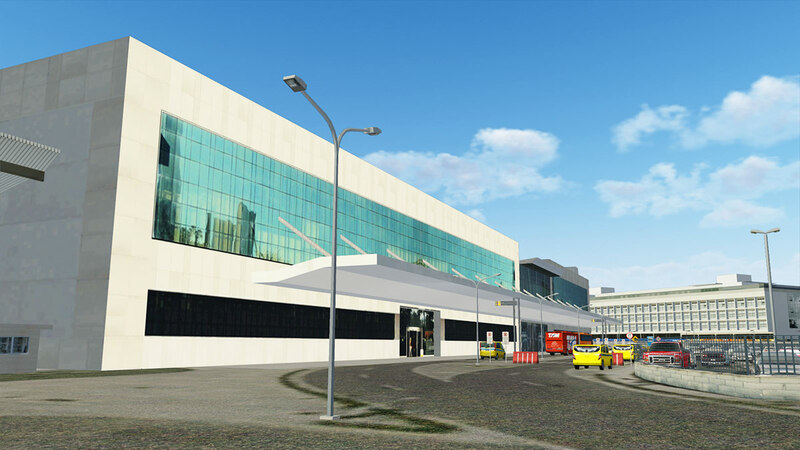 To be fair, there needs to a certain type of refining for WT3 for airports like SBRJ? There is some interesting notes here by the master Captain K-Man here with the Montego Bay scenery (halfway down the page) on why the certain elements don't work here. 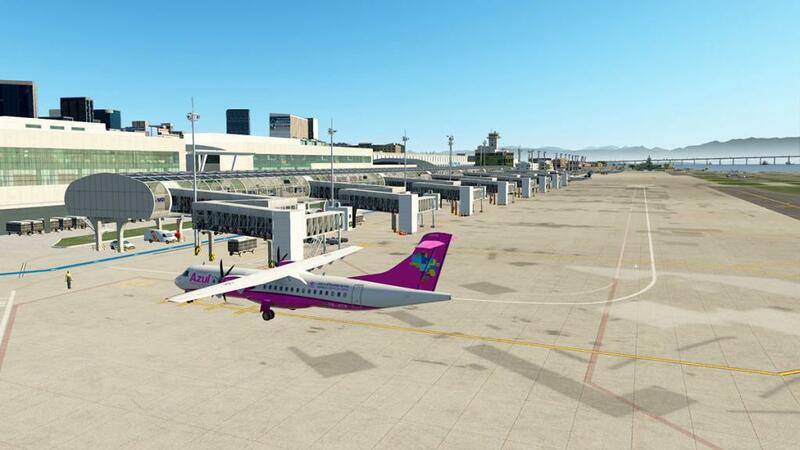 In reality airports like SBRJ should come with a defined set of WT3 ground routes and Parking definitions and these items shouldn't be defined by the generator. The runways here are also very short and the approaches to 02R - 02L are very complex, but they do work, but nothing else does. 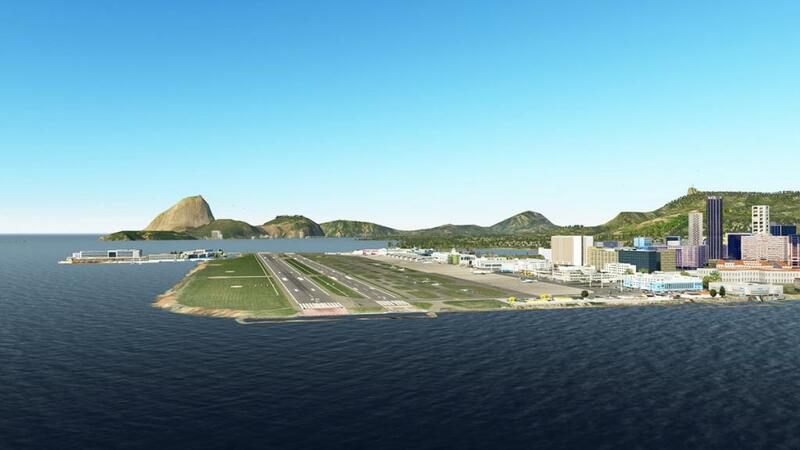 Rio de Janeiro is on of the most exciting places you can fly to in X-Plane, either from within the South American continent or internationally. 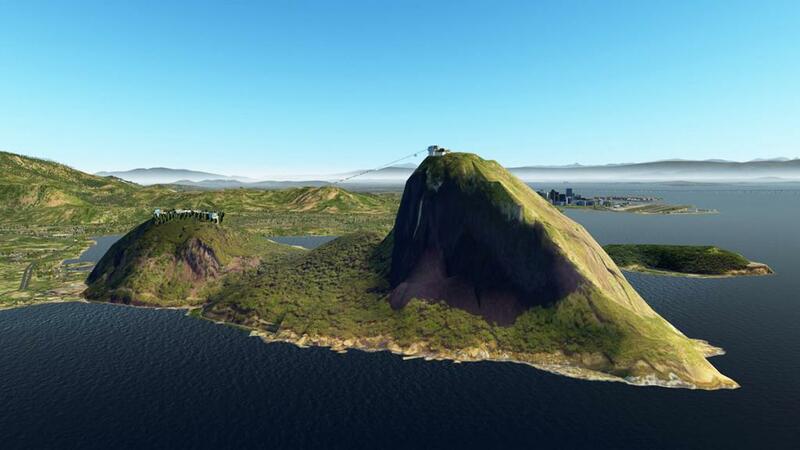 And both of these very expansive and extensive Richard G. Nunes Rio scenery packages are really essential to get the full Rio experience, they are both excellent. 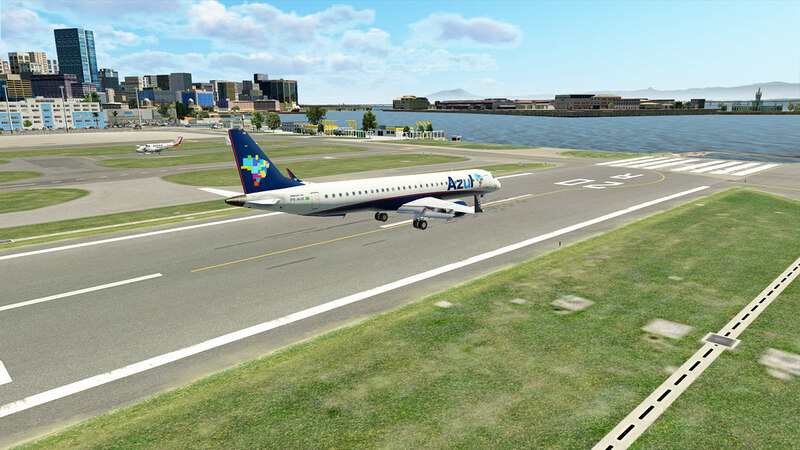 SBGL - Galeão has already had the update to v2 treatment and now here is the SBRJ - Santos Dumont version to v2. 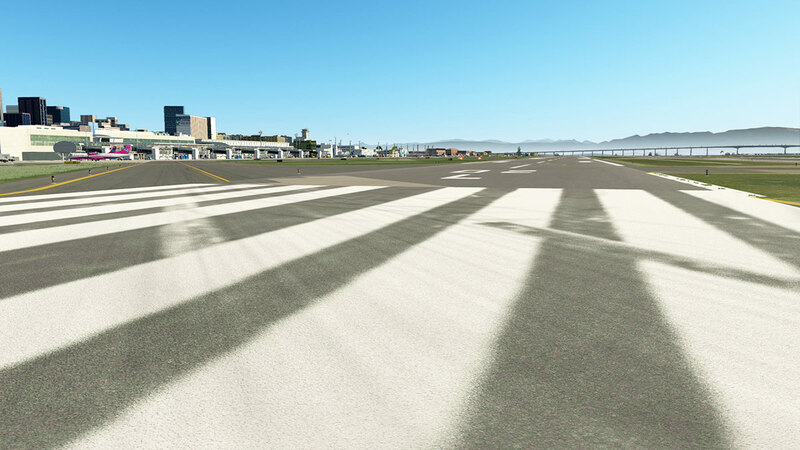 Overall it is refinement in texture efficiency (without losing the quality) and new runway textures and changes to taxiway K and signage. 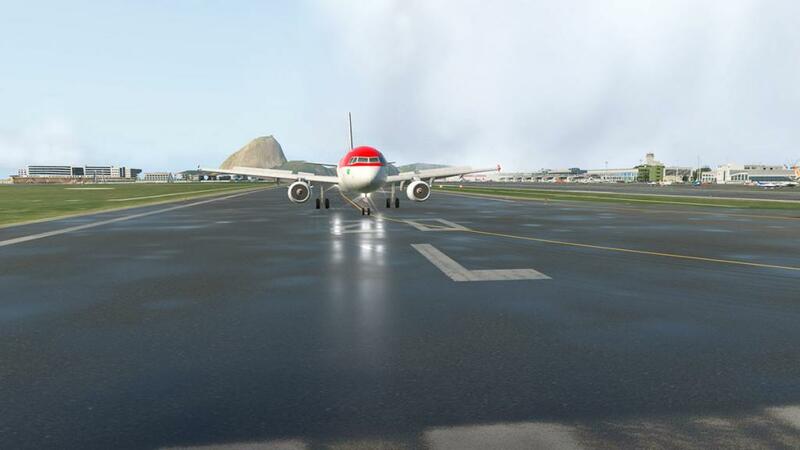 The excellent ground water effects are really well done here, very authentic and realistic but the WT3 layouts don't work really well (they do at SBGL - Galeão). 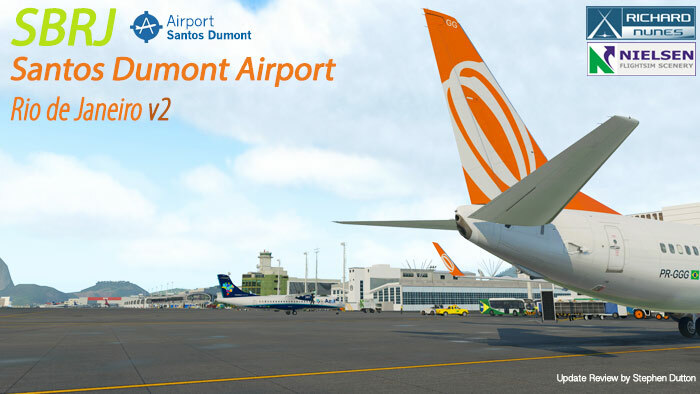 v2 update is free to all current owners of the SBRJ - Santos Dumont scenery, just go to your X-Plane.OrgStore account and redownload the scenery. - Soil effect wet when precipitation. 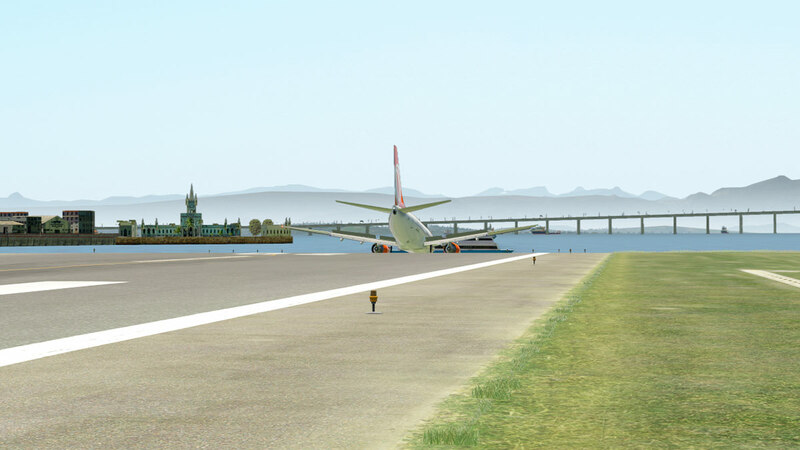 I would say this is a very under-rated scenery in X-Plane. 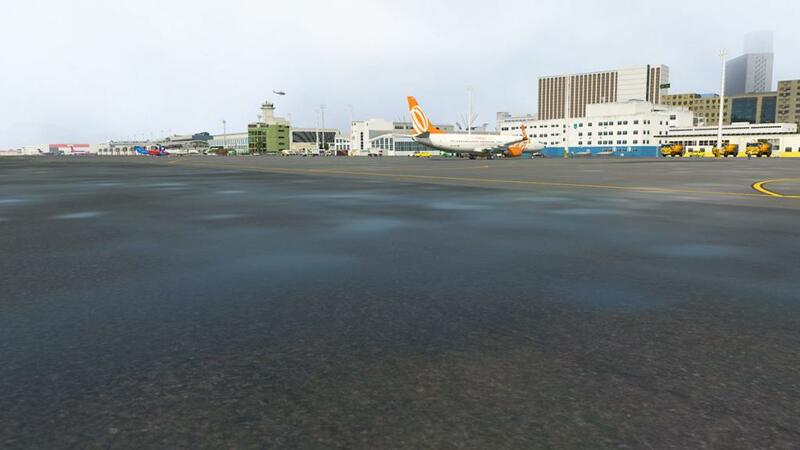 It's thrilling both to land and take off in. Very nice work and very reasonable price too.